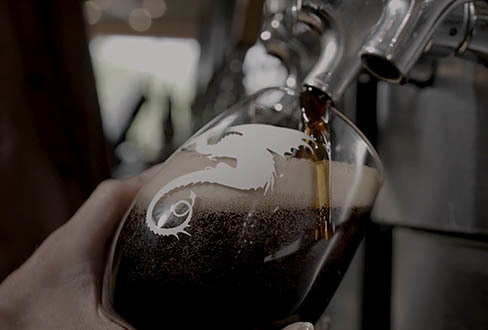 This legendary beer’s name was born from a story told in medieval times. 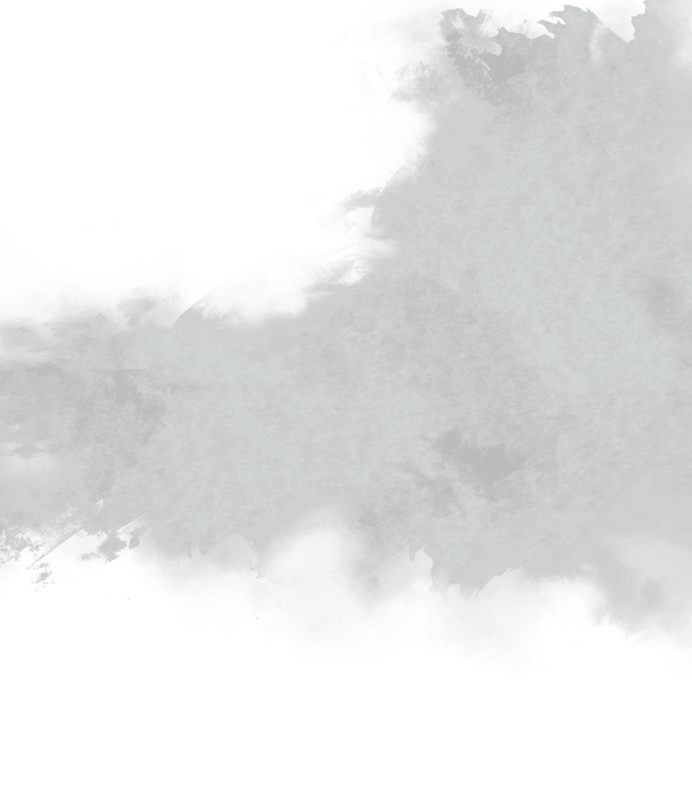 The knight’s reward for slaying a dragon was the treasured “milk of the dragon.” Today, Dragon’s Milk is an English term used to describe the finest liquid in the house. We believed the liquid we were crafting would be the best in our house. A true legend, hence the name. 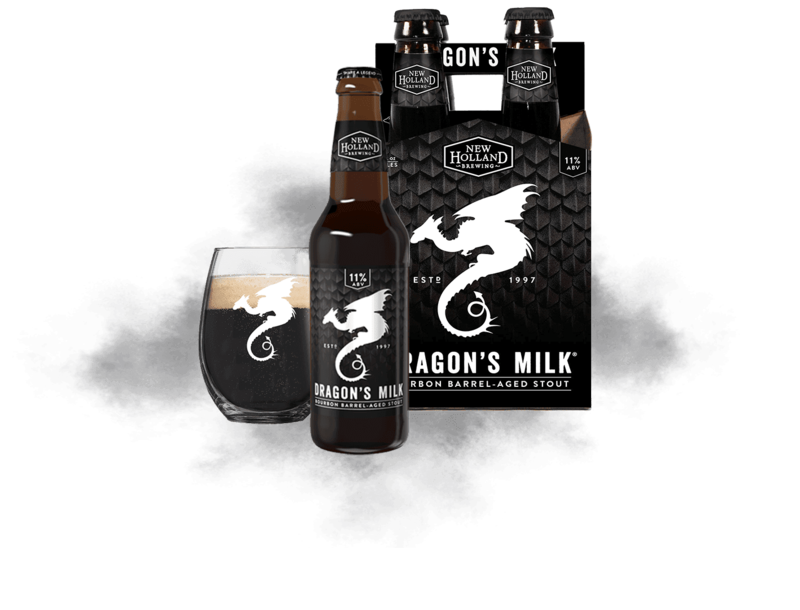 We’ve reserved the best ingredients for Dragon’s Milk. It’s the same legend, touched with a sweeter spirit. Explore our limited releases. 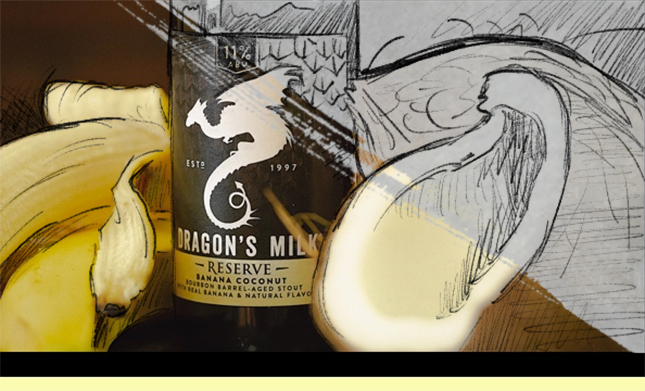 Roasted, malty and smooth characteristics blended with the creamy richness of real banana, plantain and coconut. 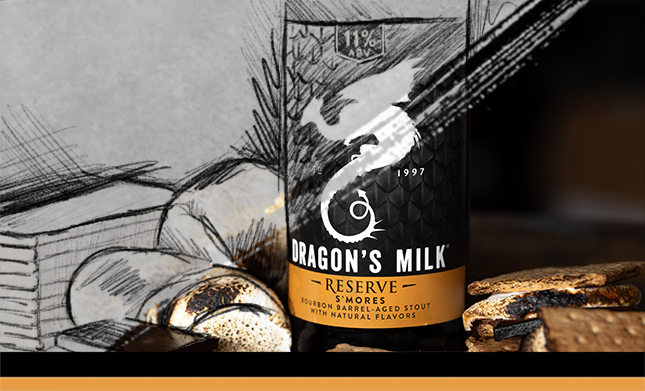 Your favorite accents of Dragon’s Milk brewed with real marshmallow, chocolate and graham crackers. 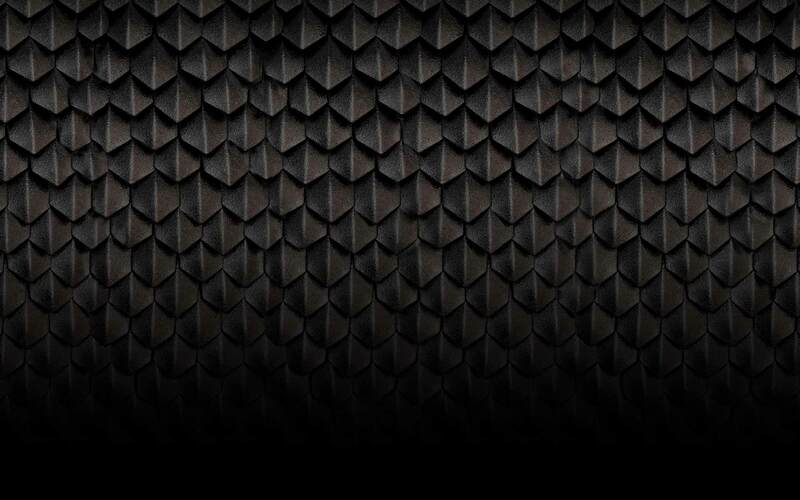 Roasty notes of Dragon’s Milk blended with the zestiness of real orange peel and the richness of cocoa. 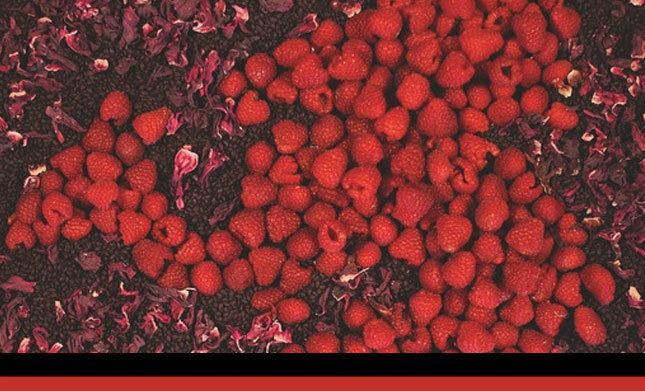 A refreshing blend of real raspberry & hibiscus brings a fruity tartness that enhances the underlying flavors of bourbon, vanilla, and roasted malt character. Legends don’t happen by chance. They come from a series of moments, leading to one that’s remembered forever. 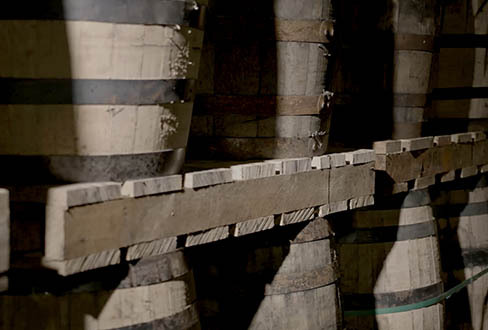 For the legend of Dragon’s Milk, we embraced the mystery of bourbon barrels. 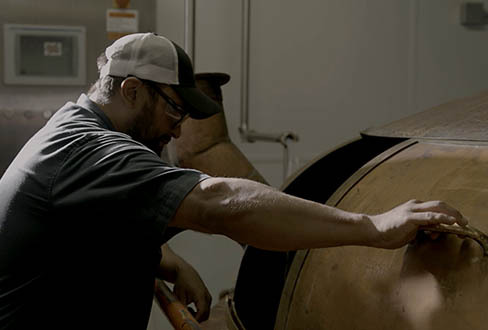 Then, we designed a beer around the character and spirit they’d impart. 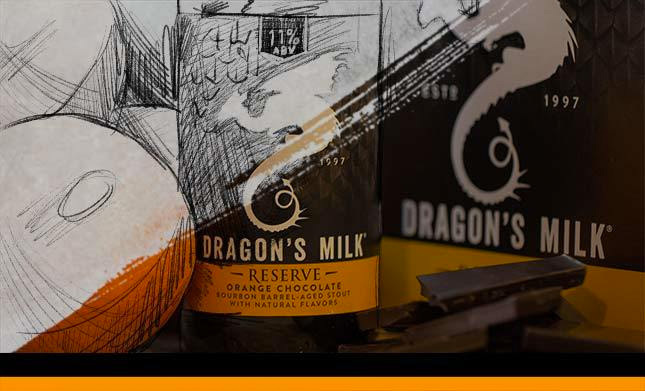 Enjoy a Dragon’s Milk and share with friends… repeat. 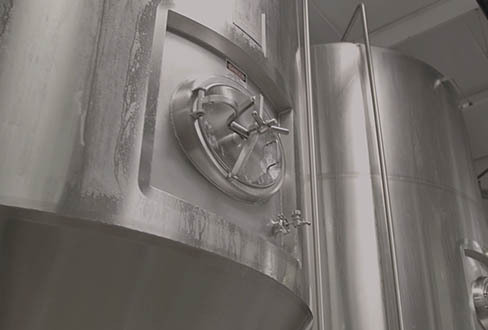 Visit our main site to learn more about our beers and the stories behind them.